We conducted a planning meeting on 5/9/14 in order to prepare for this exercise. More background material is on the website for that meeting. Here we post only material used by our regional “subject matter expert” field team will use for the exercise. The exercise begins on the third day following an earthquake and tsunami caused by rupture along the Cascadia subduction zone earthquake fault. 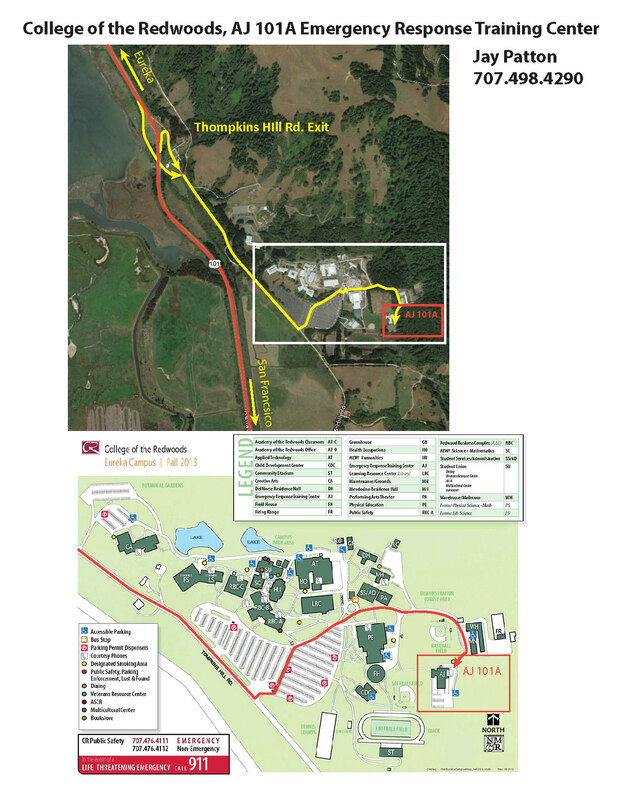 The Earthquake Clearinghouse will be located on the College of the Redwoods Campus (see map below). Here are our Regional Tsunami Science “subject matter expert” field team summary and update reports for the two days prior to the day our exercise represents (the 3rd day following the earthquake). “Interoperability Deployment” Diagram: We create Incidents by making Field Observations (see the lower left part of this diagram). Overview of software applications people can use to participate in this exercise. The SpotOnResponse app Click here to log in to the SpotOnResponse app. How to Engage: Use SpotOnResponse to view all incidents, field observations, and many GIS data sources (available in KML format). Create incidents, associate field observations with incidents (including notes, photos, videos, documents and links to additional resources). Add GIS data (KML format) as data associated with an incident for display on SpotOnResponse as well as for sharing to other KML-enabled applications, including Google Earth.